Chairs, stools, tables, podiums. These are all common furniture objects that are used by businesses on a regular basis at trade shows or in retail settings. Why use bland, forgettable furniture when you could use branded furniture to promote your business? Investing in branded furniture items can be a valuable investment for your business in several different ways ways. For one, branded furniture provides a valuable opportunity to increase brand recognition and keep your logo and business fresh in people's mind. Branded furniture is also functional, providing seating, display units, and presentation opportunities for customers and employees. 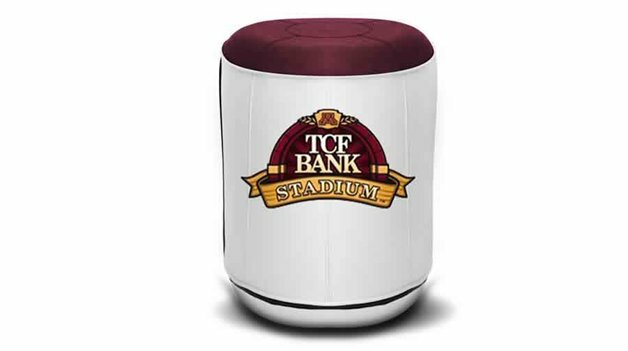 8 Ways to Use Branded Furniture for Promotion. Here are just some of the many ways that branded furniture can help boost your business, at trade shows, in retail settings, and beyond. If you're taking part in a trade show or event, employees will be on their feet a lot. It's appropriate and kind to provide chairs, but what kind of chairs will you use? Folding chairs are bland and look amateur; branded seating can help convey an image of professionalism even while your employees are taking a brief rest. The ideal pick? Branded director chairs, which can be custom-printed with your choice of colors and logo. 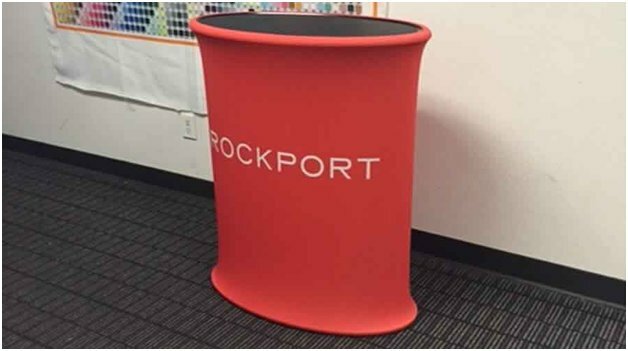 Not only do these chairs they fold up easily and assemble in seconds, but with the custom printing, they look professional and create a polished look in trade show booths or wherever you display them. You get a one-two punch of effectiveness here: you get to provide seating for your hard working employees, and you get to promote your business. Provide common area seating at events or shows. Here's a great way to promote your business at events, trade shows, or festivals: provide seating in common areas. That's right: outside of your business's direct selling area or booth. 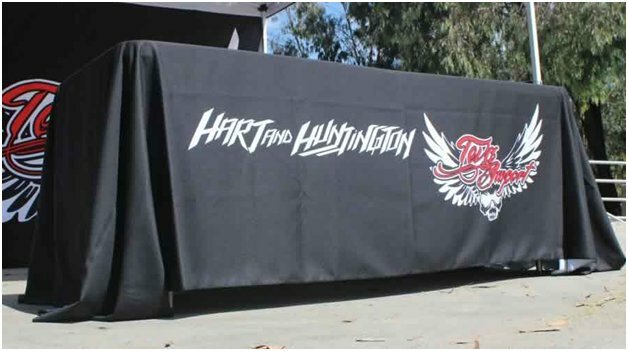 Even though it might not be right by your booth, "donating" seating to common areas at festivals or events where people are sitting, resting, or congregating allows you to put your branding in front of new eyes.This can affect your business positively by creating a positive association; even without realizing it, potential customers might commit your logo to memory. Later on, when they see your logo or interact with your business again, that recognition might just be the difference between them stopping by to check you out and passing you by. The more eyes on your logo and branding, the better! Provide seating for bored companions. Investing in branded furniture, whether it's an inflatable sofa, lounger, or director chairs, can actually work to your advantage in closing sales when your buyer has a bored companion. The idea here is similar to how department stores will provide seating for bored spouses to sit on while their husband/wife shops; keeping them comfortable allows the buying party more time and comfort to browse.If someone is visiting your business and has a companion who is acting like they have better places to be, they can sit and chill out on your provided seating, free to rest or text or whatever they like. 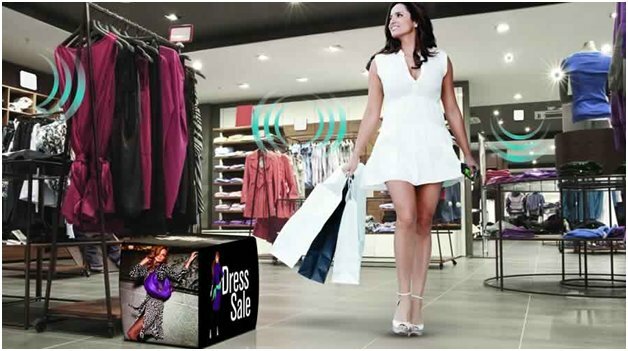 This frees up your customer to engage with your business and allows you to get that much closer to closing the sale. This small gesture can really make a big difference in your sales and business potential! Trick out your trade show booth. Branded furniture can make your trade show booth look polished and professional in minutes--nobody has to know how quickly you assembled it! Here are just a few ideas of how to use branded furniture to make your booth shine:-Use Design-Air items such as stools, ottomans, or seating options such as loungers or rockers to act simultaneously as signs for your business as well as functional seating options. Use Design-Air items such as stools, ottomans, or seating options such as loungers or rockers to act simultaneously as signs for your business as well as functional seating options. Have branded director chairs for employees to sit on during slow times at the trade show. 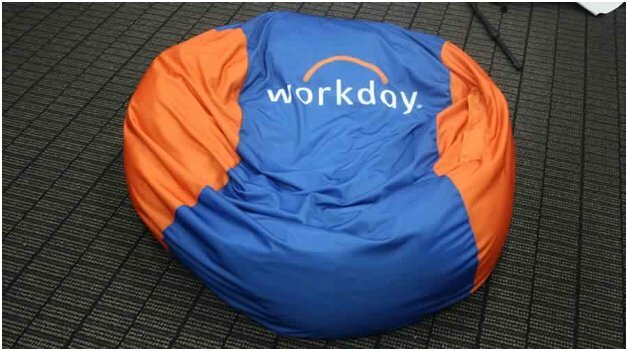 Custom bean bags can be used to provide a casual, fun seating option that broadcasts your brand. Photo cubes can be used to display company imagery as well as providing a surface to display brochures or company literature. Create a podium whenever and wherever you want. Podiums can be heavy and awkward to transport, but with a collapsible podium you can make any event an official speaking affair in moments. This is perfect for creating an authoritative air whether you are featuring a speaker or just need a podium for a customer service representative at an event. Podiums send a message of authority, and this easy-to-assemble and store version makes them easy to transport and set up no matter where your event takes place. Provide seating for special events. If you're having a special event at your place of business, branded furniture can be provided as part (or all) of your seating. Seating allows clients to enjoy your event in comfort; custom-printing your seating helps create a professional look and reinforces your brand in people's minds. Brand recognition is guaranteed to remain strong after an event where customers sit on inflatable Design-Air stools with your logo or branded director chairs! Decorate your business space with photo cubes. 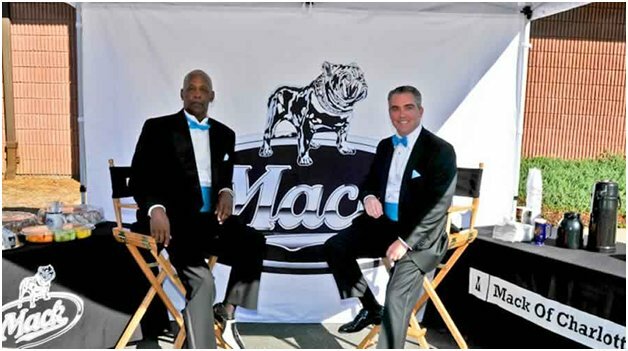 Photo cubes can be a powerful marketing tool for your business. Digital Dye Sublimation Printing is used to get your artwork on these fun, easy to move display items, which are sturdy enough to act as chairs, too! Six sides are available for printing; simply upload images from your computer, and add optional visual effects. These display items are versatile, handy, and functional. 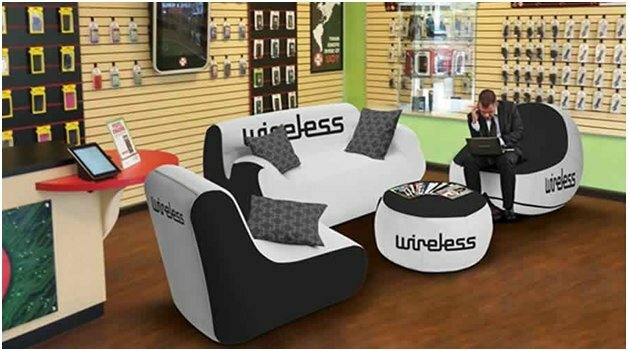 Place inflatable furniture in a retail space. Investing in furniture can be an expensive prospect in a retail setting. Inflatable furniture can provide a more cost-effective and mobile mode of providing furniture. The Design-Air collection has a high end look, so it adds a touch of class to your space, but remains easy to assemble and move. Its tough, canvas-like outer shell make these pieces suitable for heavy turnover and high usage, but the custom printing makes them an impressive item to use as seating or display units. 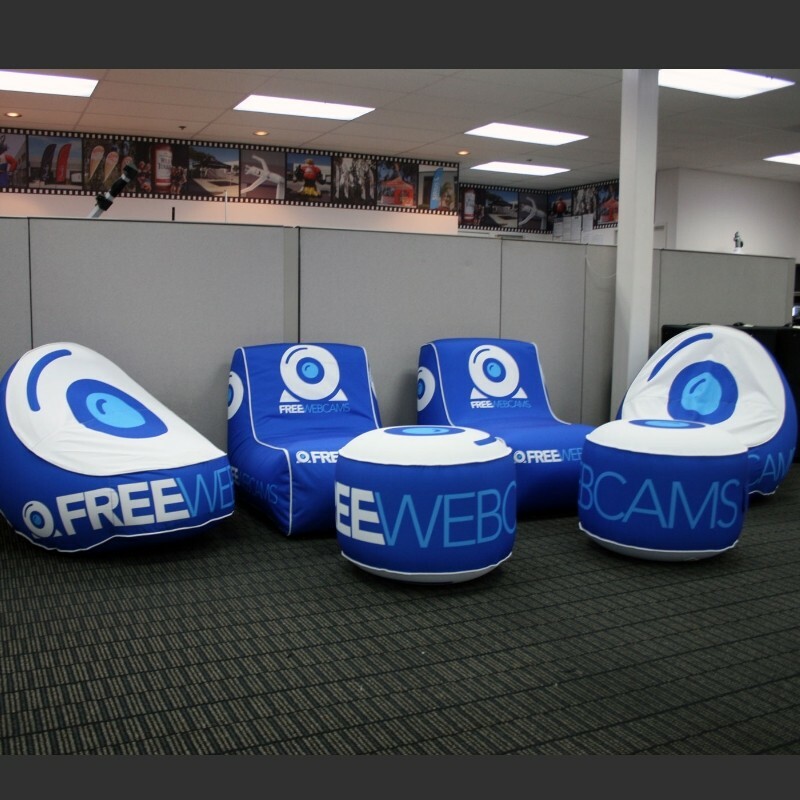 Conclusion: Branded furniture can be an eye-catching way to bring attention to your business. It's an advertising tool that provides a functional service but also projects a professional look and feel for your business. Investing in several pieces of branded furniture is a decision that will serve your business well in many ways, and for many years to come. How could you use branded furniture for your business?